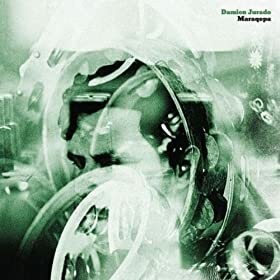 Seattle Folk pioneer Damien Jurado releases Maraqopa this week. Another week in the shortest month sees plenty of fine releases fall into our laps. 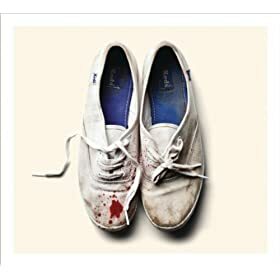 From Damien Jurado’s magnum opus to the sophomore release from the sugared razor blades of Sleigh Bells, it’s not a bad week at all. There’s also new releases from Lambchop, Grimes, Frankie Rose, Tindersticks, Perfume Genius, Cursive, Leland Sundries and a Deluxe Master reissue of 1995’s great Vee Vee from the so-far-still-reunited Archers of Loaf. 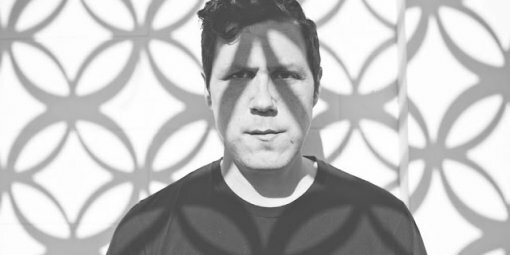 After fifteen years of releasing folk in the (now) folk-heavy Pacific Northwest, Damien Jurado has experienced a rebirth of sorts, and like it is for many artists at the mature stage of their career, a lot of this second life is due to finding the right producer/collaborator/muse. In that, Jurado found Richard Swift, who helmed his magical 2010 release Saint Bartlett. They pair up again for the follow up, Maraqopa, expanding on the slight studio experimentation of Saint Bartlett. While the previous release had the benefit of surprise, Maraqopa raises the stakes, with Jurado and Swift now in lock step at the height of their talents. Just so there’s no mistaking it, they open with psych-burner “Nothing is the News,” effortlessly building guitars, keys and reverb-thick background vocals until you awake to find Commander Flashback from across the street has broken into your house and is trying to climb inside your computer speakers (your experience will vary, obviously, depending on your neighborhood). The next track, “Life Away From The Garden,” brings with it the spectre of Christianity, a common theme of Jurado’s throughout his career. The singer-songwriter confesses being influenced this time out from the Crescere free mix The End is Near: Jesus Music, Vol 1 & 2, and while religion does indeed permeate throughout, it’s merely a launching point here for Jurado’s confident songwriting. “Working Titles,” another highlight, sees Jurado employing a Leonard Cohen trick of inventing another self to make pointed observations on his true self. “What’s it like for you, in Washington?” his invented self asks of Jurado, moving from accusations and demands to a mild form of jealousy. Where Jurado in the past might have pointed out things aren’t that great, he doesn’t even need to answer to show that things are indeed pretty good where he’s standing. While it’s not an easy achievement to get Jurado to crack a smile, Maraqapo stands to suffice, as it induces plenty in it’s nearly 37 minutes. When Sleigh Bell’s debut Treats snuck up on listeners in 2010, the slash-and-dash nature of it’s red-line production made it an album less about songs then the sound engineering of the thing. With their sophomore release, there’s still the necessity to “crank it,” but Reign of Terror is far more reliant on songcraft, for better and worse. It might have been easier to churn out a Treats II, but gone is the debut’s element of surprise, and so guitarist Derek Miller and singer Alexis Krauss went about the business of rebuilding their sound. Don’t get me wrong, nobody but Sleigh Bells could have created Reign, and that’s a good thing. It’s still pointy guitar metal, girl group vocals, cheerleader call and response backed by hip-hop inspired beats — a niche they pretty much own. But it was evident on the first tracks released, “Born to Lose” and “Comeback Kid” — predictably the album’s highlights, that Krauss’ pop sensibilities were moving to the forefront with Reign. While the results never quite reach the dizzying heights of their debut, that was going to be a tall order, and Reign is instead content to get you to turn it up and bang your head. 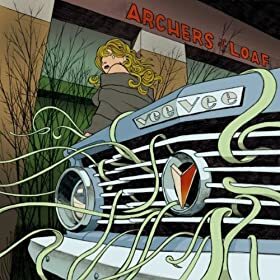 Released in 1995 as the follow up to the much heralded and poppy Icky Mettle, Vee Vee was Archers of Loaf at the peak of their ferocity (look no further than the one-two punch of “Fabricoh” and “Nostalgia”). Fresh off the amazing and raw EP Vs the Greatest of All Time (which got inclusion in the Icky Mettle reissue last year), Archers went for an even more unpolished sound, bending guitars like Chapel Hill neighbors Polvo and even opting to open and close with wordless choruses (“Step Into the Light” and the whistle chorus of “Underachievers March and Fight Song”). Like with last year’s Icky Mettle reissue, much of the magic lies in the second bonus disc: 4-track demos, remasters of fantastic b-sides like “Telepathic Traffic” and “Smoking Pot in the Hot City” along with a previously unreleased cover of John Coltrane’s “Equinox” and a Red Sovine via Tom Waits cover of “(Big Joe And) Phantom 309” (from the Step Right Up Tom Waits tribute album). It’s probably worth owning the physical copy of this as well, thanks to the brilliant new artwork re-imagined by graphic artist Jay Ryan — necessary because the original work was lost by previous label, Alias Records.